While you’re decking the halls and making merry, take steps to ensure safety for yourself and your family. 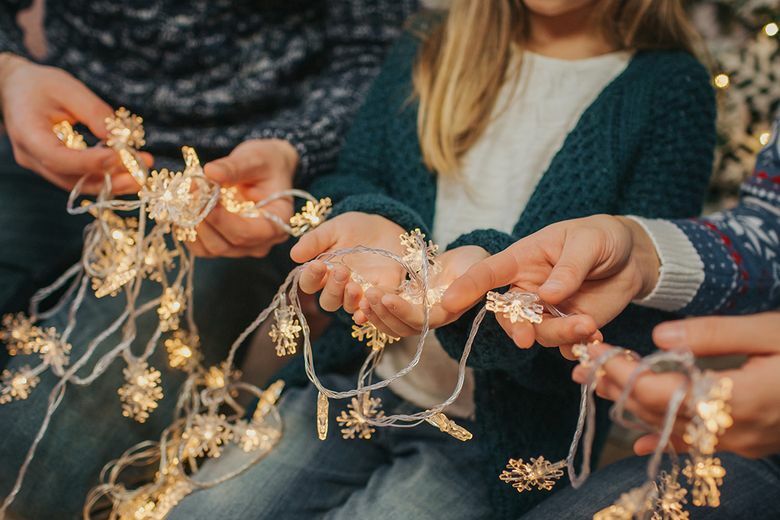 Once the extended family boards their flights and all the cooking equipment gets put away after Thanksgiving, it’s time to turn your thoughts to holiday decorating. But while you’re decking the halls and making merry, take steps to ensure safety for yourself and your family. According to the U.S. Consumer Product Safety Commission, decorating mishaps send nearly 15,000 people to the emergency room each year. Almost half of those ER visits happen because of falls. Make sure you use the proper tools for hanging decorations, whether they be outdoor lights or indoor ceiling decorations. Resist the urge to go just one step higher or reach a little farther; instead, use a ladder tall enough for the job. Use the buddy system, especially outdoors, by having someone hold and stabilize the ladder while you’re on it. Take care to keep your tree away from heat sources, such as candles, fireplaces and radiators. If it’s a live tree, make sure you keep it well-watered throughout the season. Without water, a live tree quickly begins to dry out and catches fire more easily. If you light candles, keep them on a stable and heat-resistant surface where children and pets can’t reach. Never leave a burning candle out of your sight. Extinguish all candles when you leave a room. You can easily overload your electrical system with flashing lights, so be cautious not to press it too far. Add up the total amount of amps used by light strings being plugged into the same source, and make sure both your extension cord and circuit are capable of handling that amount. GFCI outlets look similar to the traditional counterparts. However, they can be identified by the “test” and “reset” buttons on their face. They monitor the flow of an electrical current in a circuit, and when a ground fault occurs, the flow between the neutral and hot wires becomes unbalanced. Once there’s a disturbance in current, the GFCI breaks the electrical circuit and shuts off the energy flow. Electricians recommend GFCI outlets because they react faster than circuit breakers or fuses. These outlets not only prevent serious electric shock, but they also reduce the risk of electrical fires and prevent damage to appliances. Any outdoor light should be plugged into a GFCI outlet for this reason. Also take care to use extension cords that have been approved for outdoor use.